Many questions require the user to describe used keyboard shortcuts. These can be formatted through <kbd></kbd>. I would like to suggest to add an icon to the composing editor to format keyboard shortcuts visually. I think it would look a little bit ugly there, but I don't care about that. What I do care about is the user experience factor. The proposed keyboard shortcut icon would look a little bit mean there, which would give users a visual cue that it's OK to be mean on the website, which is not a good design from a community perspective. Stack Overflow has both Graphic Design and User Experience Q&A websites, so I would expect that suggestions like this one would attract quite a bit of professional interest on the Stack Overflow network generally. One of those two should work for you. Not the answer you're looking for? 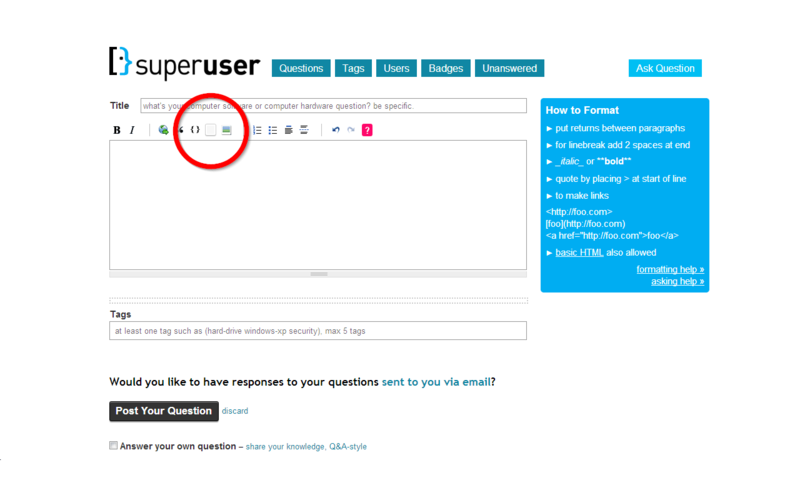 Browse other questions tagged feature-request editing text-formatting .